Gun Safe Lights | Gun Safe Lighting | Gun Safe Light Kits - On Sale! Fits Up To 60" Safes! Light up the interior of your safe. 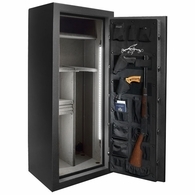 Brighten up the dark spaces in your safe, fits up to 72" safe. "Is your safe tucked into a dark closet or room? Do you have to keep a flashlight handy to find what you need in your safe? 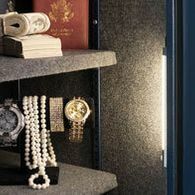 We have several inexpensive, stealthy ways to light up your safe without throwing on the room lights." Whether or not your safe is accessible to electrical access, you can light up the inside of your safe and make life easier. We have several lighting options that will surely fix your problem. For safes without electrical access, there are battery operated, motion sensitive lights. The motion of simply opening the door will turn the lights on. If no motion is detected after 30 or 60 seconds — depending on which setting you have it on — they will turn themselves off. A simple hand movement will turn them back on if needed. Stack-On's Directional Security Light has twelve bright LED lights inside three light heads (four LEDs inside each head). These light heads will pivot individually to spot the light exactly where you need it. 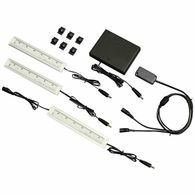 It's super easy to install with either a mounting plate or hook and loop tape (both are included). 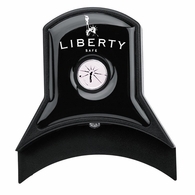 Liberty's LED Safe Lights are battery operated and motion sensitive. 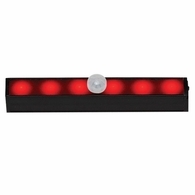 Three directional bars contain bright LED lights (three in each bar). The safe lights attach with Velcro (included), allowing you to place the lights anywhere you need to inside the safe. American Security's Safe Light is battery operated and turns on by pressing the light bar itself. The steel casing of this light is formed to fit behind the fire wall on the door of the safe and the light can be placed anywhere along the length of the door, shining its six LED bright lights into the safe. 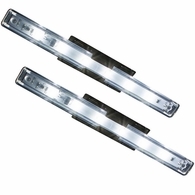 It is also directional and can be aimed to where you need the light the most. If you have electrical access in or near the safe, this "rope light" by Lockdown provides 12 feet of bright LED lights housed inside a clear durable tube. This rope light is flexible and can be routed throughout the safe no matter of the configuration of the interior. 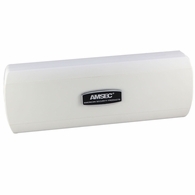 An in-line of/off switch is included, as well as everything needed for installation. 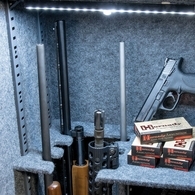 This light kit will illuminate the entire interior of your safe — not just a selected portion of the interior. 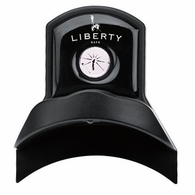 The new Liberty Clearview Electrical LED Wand Light Kit will certainly brighten up the interior of your safe. 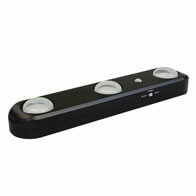 Also available in a smaller five wand size, each includes a motion sensor and auto on/off. The wands attach with self-adhesive backing and connection snaps. 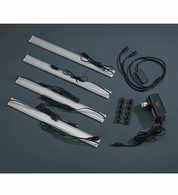 Gorgeous, soft light and super easy to install! Interior lighting is available for everyone for every safe. With all of these choices, Dean Safe has made it as easy as possible. Simply decide where you need light the most and which will work best for you. No more hunting for a flashlight or turning on a room light just to see inside your safe.